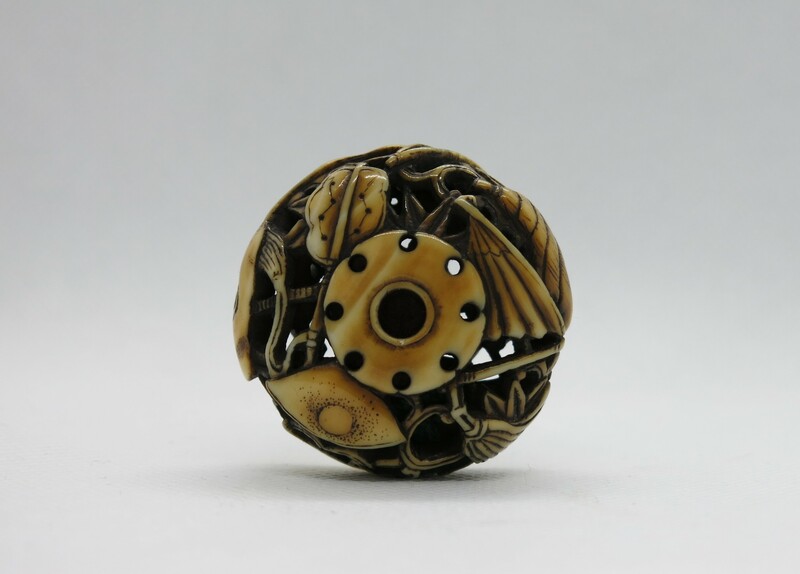 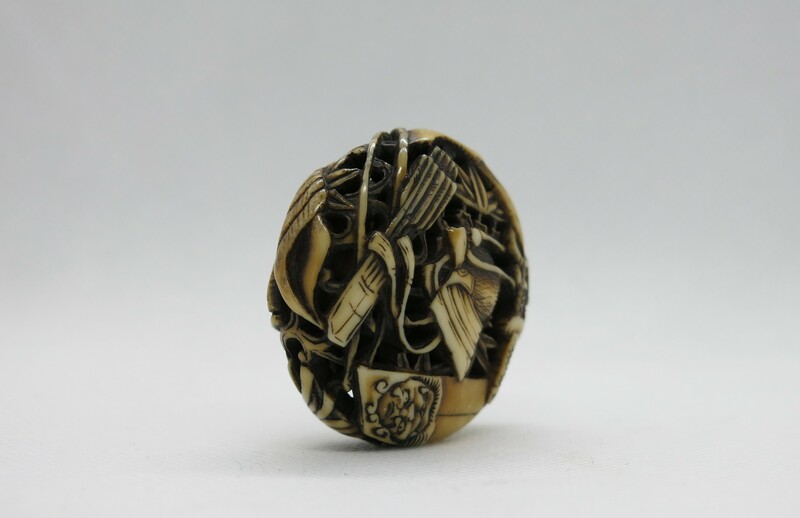 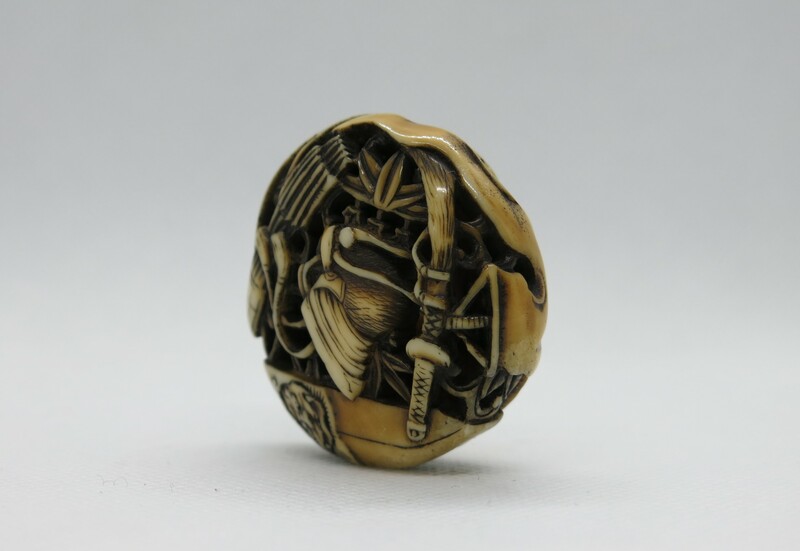 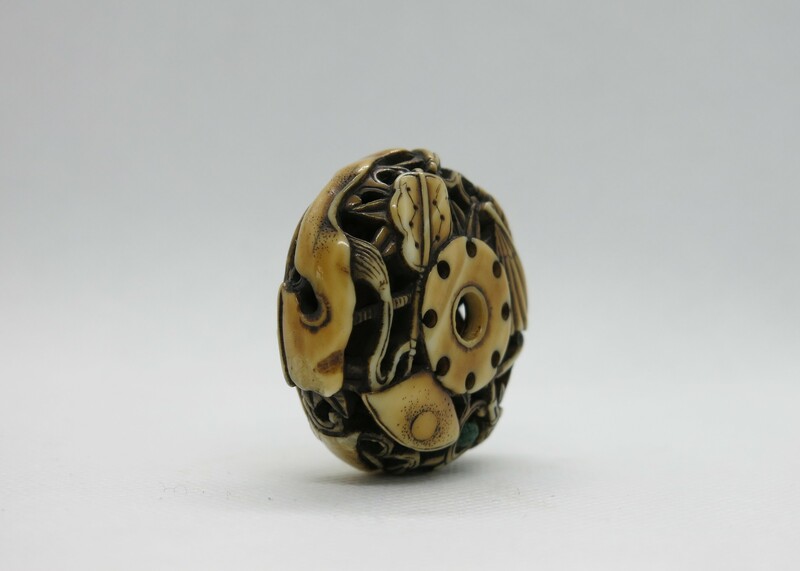 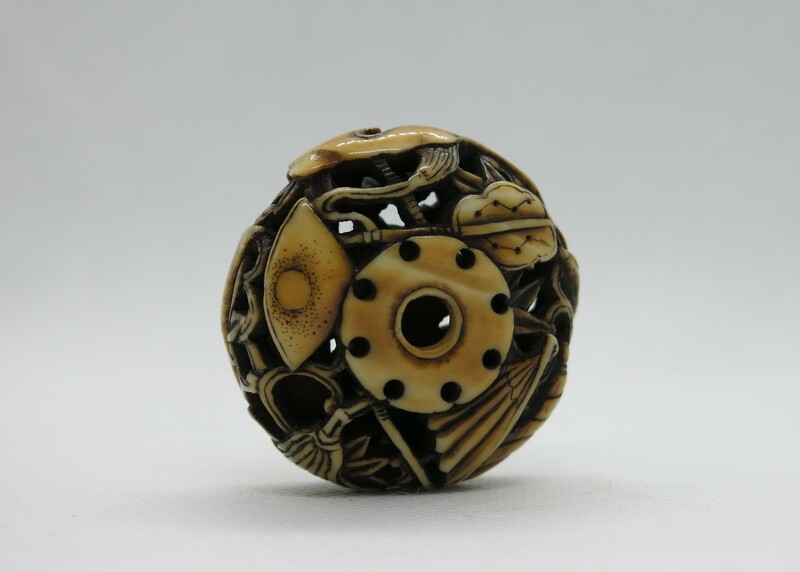 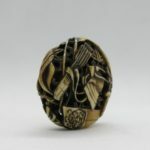 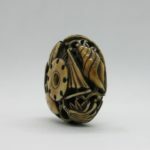 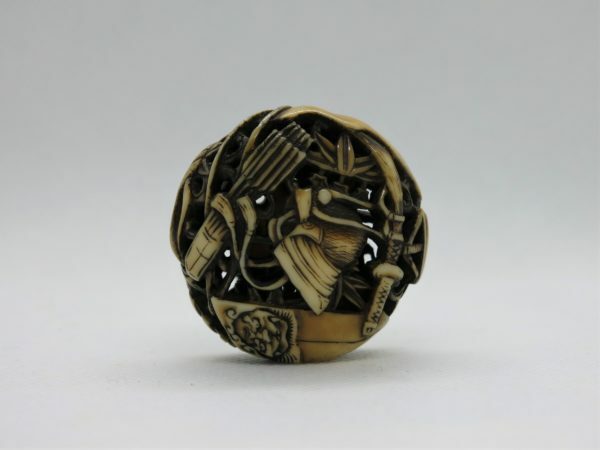 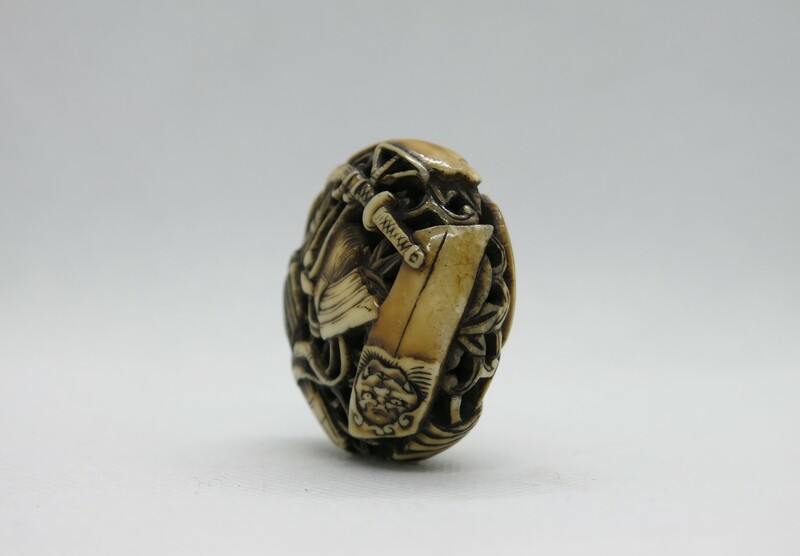 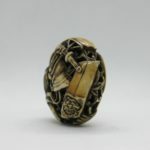 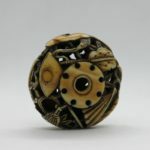 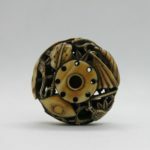 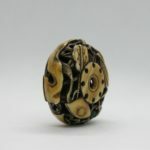 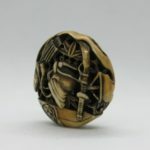 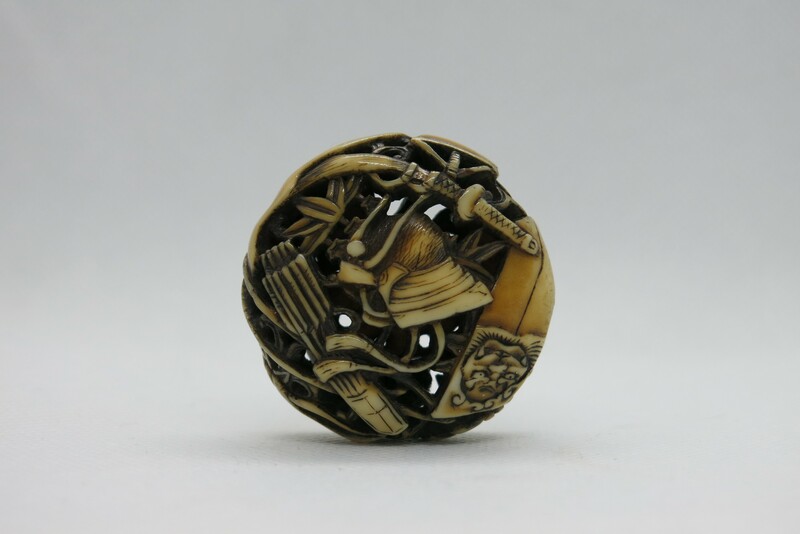 NETSUKE – Anusual and very fine marine ivory carved modele of a Ryusa Manju with Samurai armor accessories : Kabuto helmet, banners, war fan, sword and a conch shell. 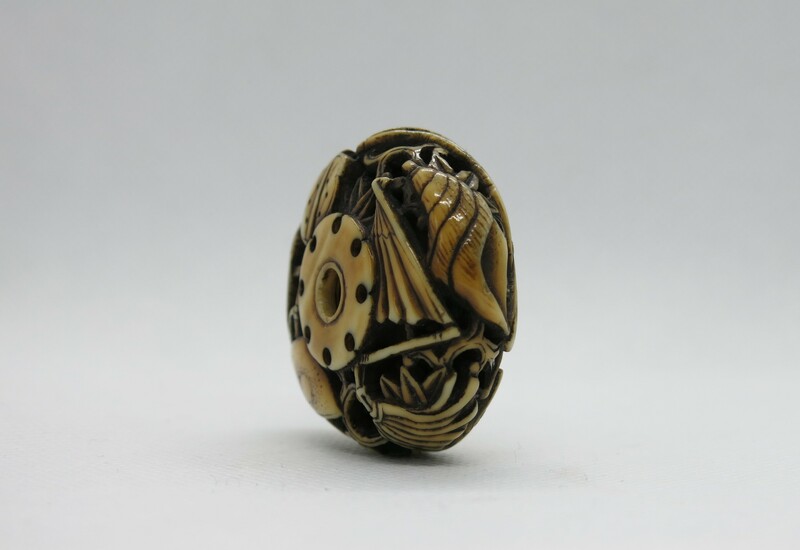 Diameter : 4,2 cm. 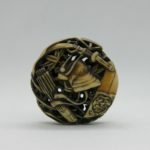 Japan Edo (1603-1868) 18th century, very early 19th century.